Yes, the rumors are true, there are now more choices available for Sale-a-bration 2018. 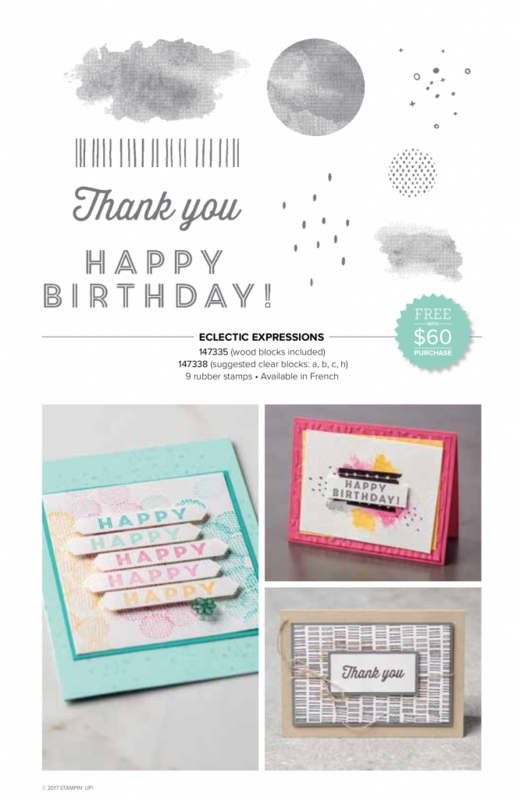 This is the new Eclectic Expressions Stamp Set available as a Level 1 choice. 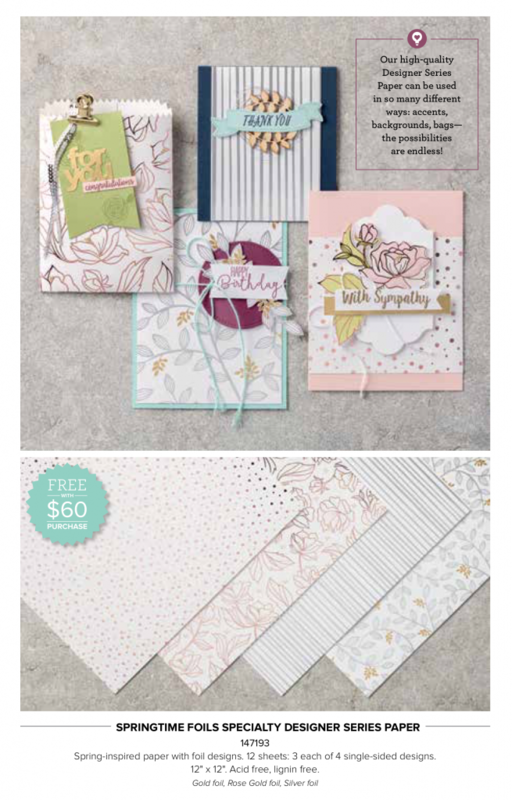 This is another Level 1 choice, the beautiful Springtime Foils Specialty DSP that you could use as is or color for something uniquely yours. 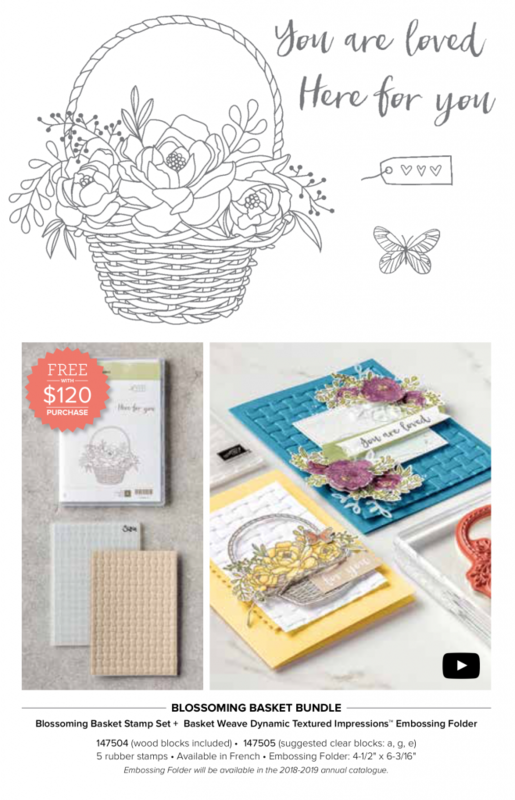 For lucky last is a Level 2 option of the Blossoming Basket Bundle, containing the Blossoming Basket Stamp Set and Dynamic Textured Basket Weave Embossing Folder. How gorgeous are these choices? 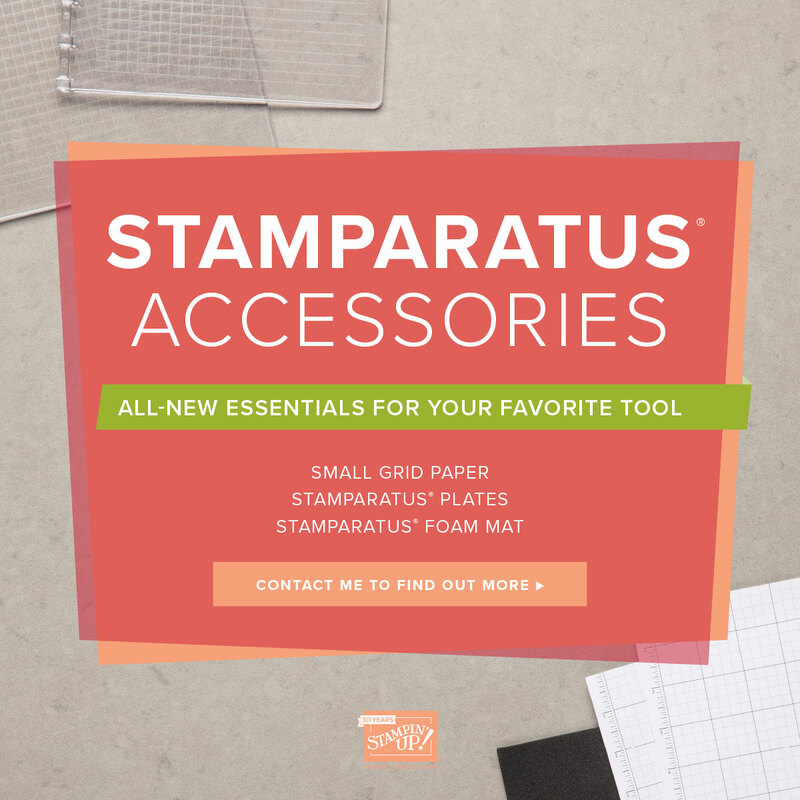 Than again, anything in the dynamic textured impressions embossing folders I find absolutely glorious! 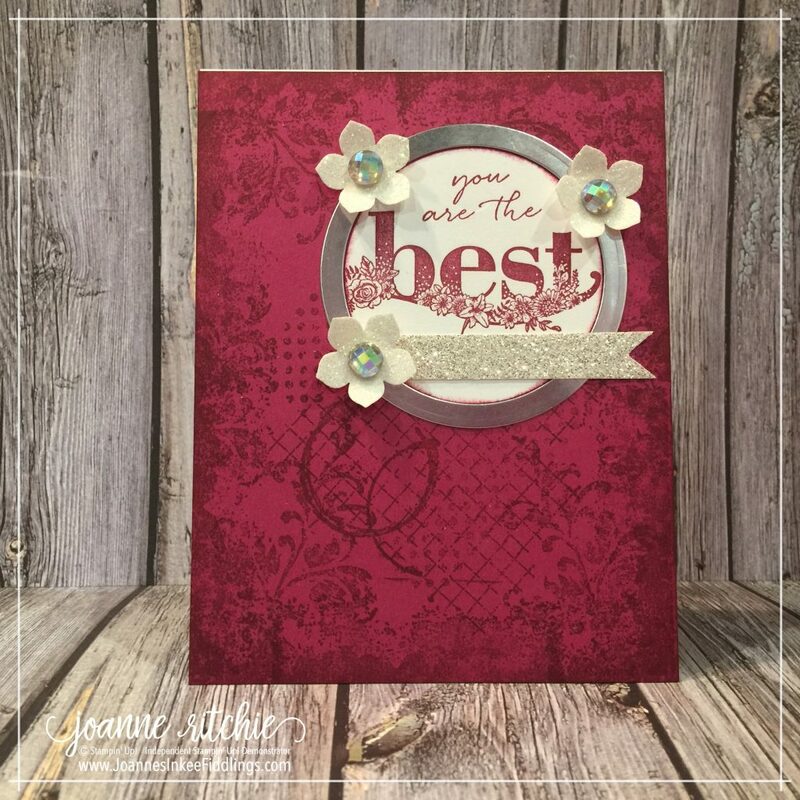 This week I’m working with the Level 1 choice from the current Sale-a-Bration 2018 catalog, the Beautiful Peacock Stamp Set. This is my sparkling, girlie version of the peacock using the Turquoise Glimmer Paper cut into strips for a background that’s a little different. 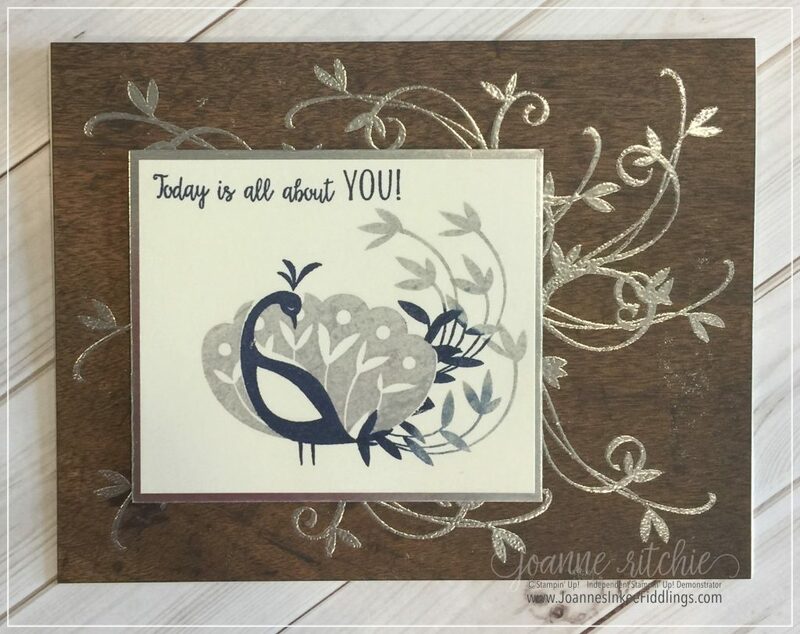 For a slightly masculine feel, I heat-embossed a timber background with silver before adding the peacock in Night of Navy and Smoky Slate Classic Inks. 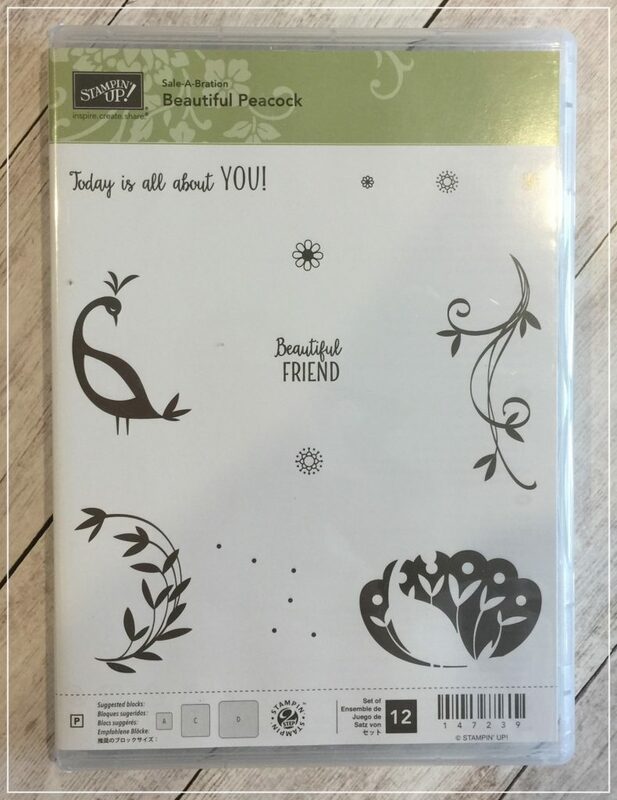 This is the Beautiful Peacock Stamp Set that is so versatile, containing 12 different stamps. Sale-a-Bration concludes at the end of March, after which this set, along with all the other sets I’ve been highlighting the last two months will no longer be available so order soon for this, or any of the other freebies currently available during Sale-a-Bration 2018. 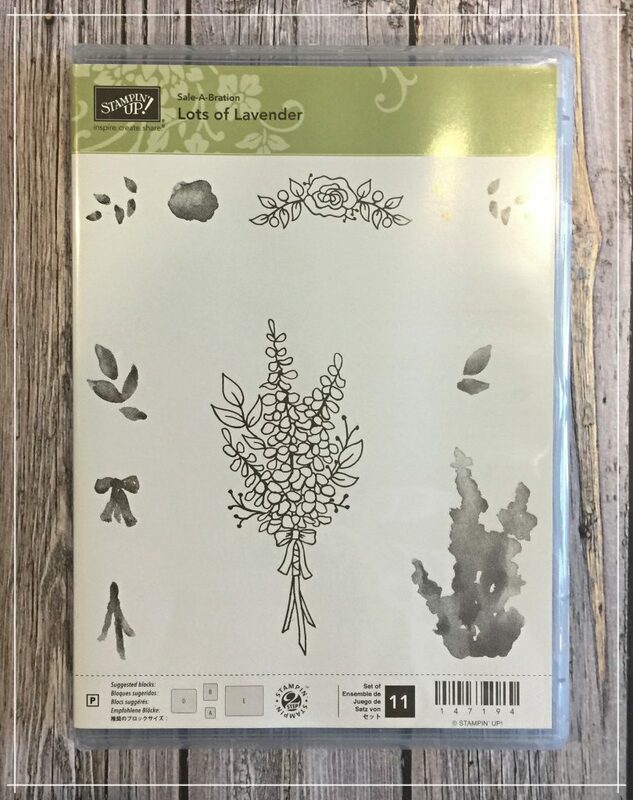 This week I’m creating cards with the Lots of Lavender Stamp Set, a Level 1 choice from the 2018 Sale-a-Bration Catalog. 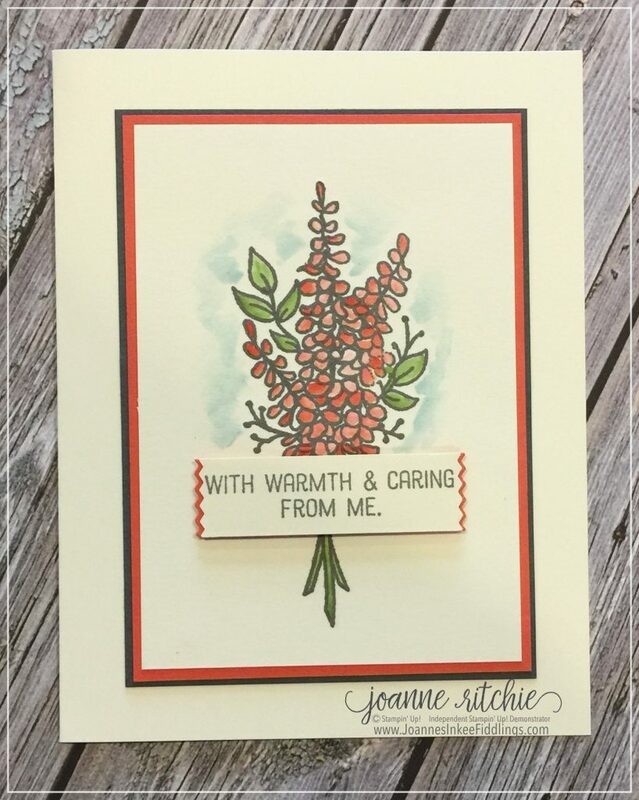 For my card above I challenged myself to use a color I’m not particularly partial to, Calypso Coral. 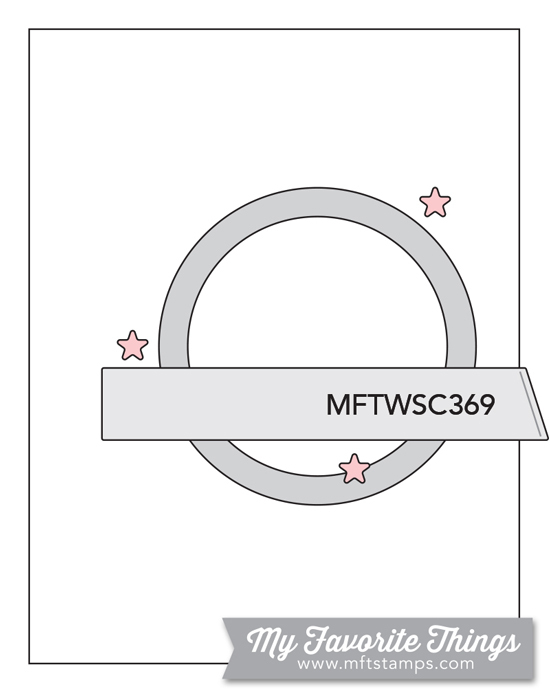 This color paired very well with the Basic Grey in Archival Ink and Cardstock. This is the set. 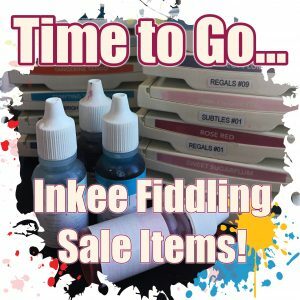 Sale-a-Bration concludes at the end of next month. 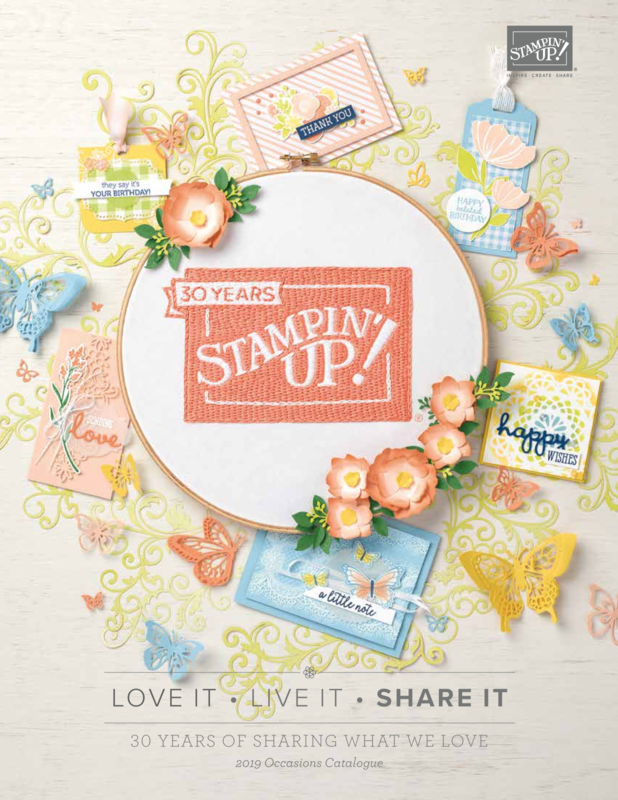 If you are interested in this set, or any of the other sets on offer from the 2018 Sale-a-Bration catalog, place your order soon. 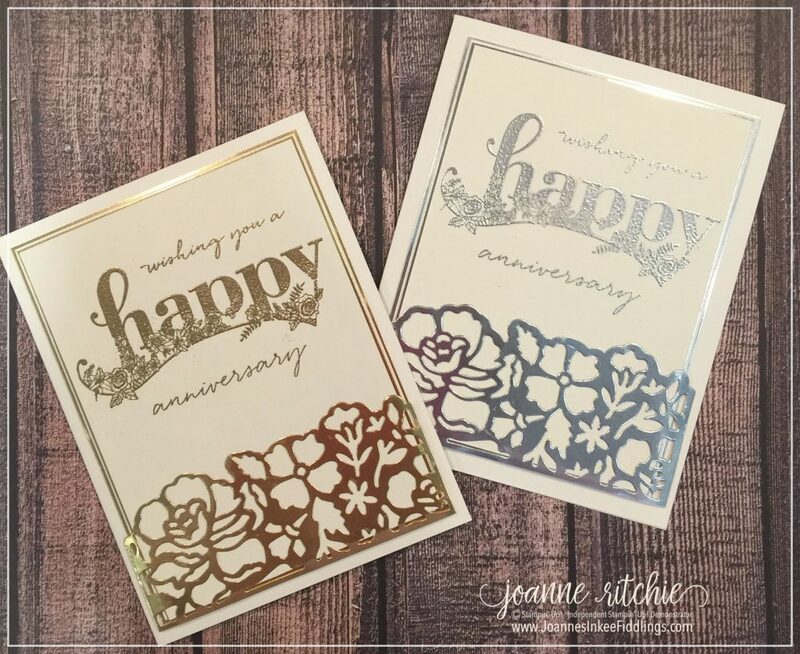 These cards are a couple of my favorites with the Happy Wishes Stamp Set. 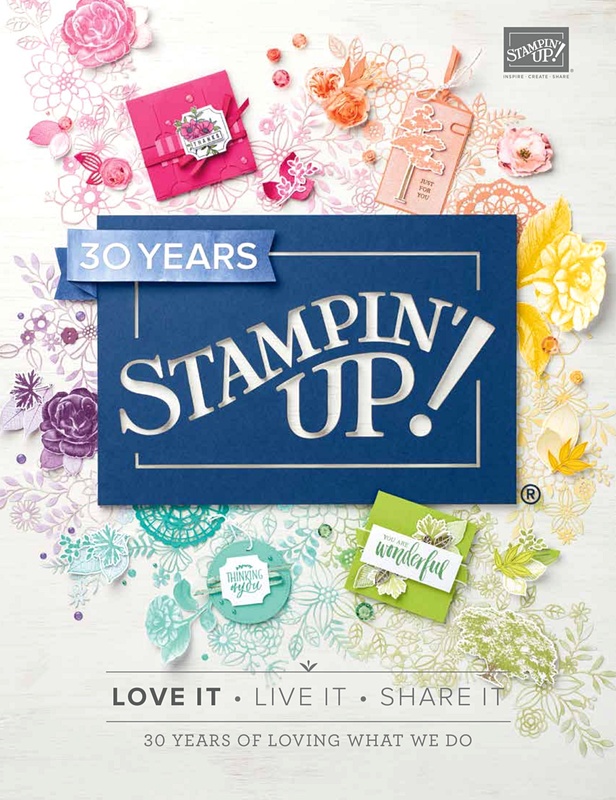 When you don’t have the numbers stamps and thinlets these are the perfect out for 25th and 50th anniversaries. It also gave me an opportunity to finally use the Detailed Floral Thinlets which is simply beautiful don’t you think? 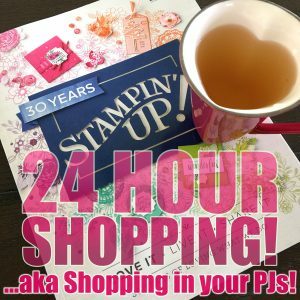 Plus, if you are interested in the Level 2 Happy Wishes Stamp Set and these thinlets aren’t already in your stash, you are a third of the way to reaching $120! 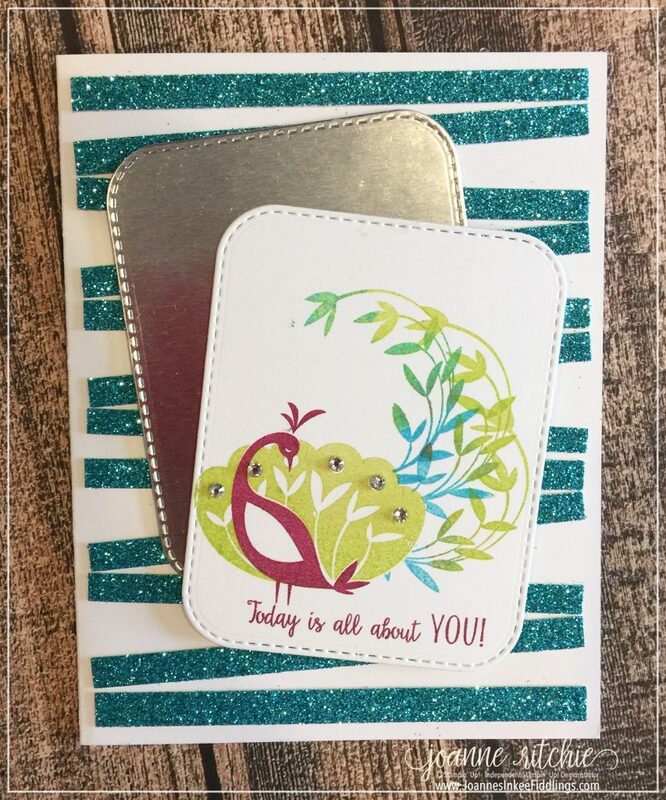 This card with the Happy Wishes Stamp Set was such a hoot to make. Re-discovering my Timeless Textures Stamp Set has been the best thing. The two sets work so well together. This is the sketch this week from My Favorite Things my card was based on.